This CSA white paper explores the capabilities of blockchain technology in facilitating and improving the security of the internet of things (IoT). It highlights various features that should be considered when securing connected devices using blockchain technology. The document provides a high-level overview of blockchain technology and then outlines a set of architectural patterns that enable blockchain to be used as a technology to secure IoT capabilities. It also offers specific use-case examples of blockchain for IoT security. The CSA Japan Chapter has released the Japanese version of the report. Download the report here. The National Supercomputing Centre Singapore (NSCC) is Singapore’s national supercomputers center and has the objective of supporting national R&D initiatives, attracting industrial research collaboration and enhancing Singapore’s research capabilities. NSCC has recently joined the CSA as a corporate member. An MOU was signed to develop a holistic Cloud Incident Response (CIR) framework that comprehensively covers key causes of cloud outages (both security and non-security related), and their handling and mitigation strategies. The MOU was signed by Dr. Hing-Yan Lee (EVP, CSA APAC) and Mr. Tak-Leong Cheong (Director of Standards, ESG). 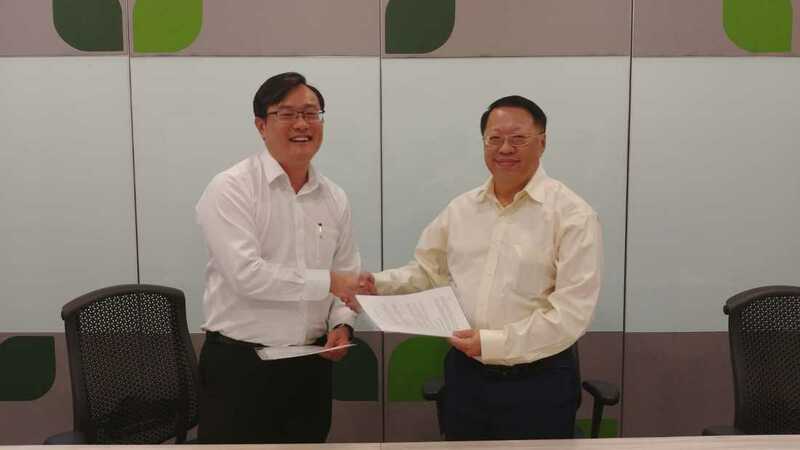 This collaboration will follow in the successful footsteps of the MOU signed between CSA APAC and SPRING Singapore (now ESG) in June 2013 to develop a joint whitepaper entitled ‘Best Practices for Mitigating Risks in Virtualized Environments’. This whitepaper, based on Singapore’s TR 30:2012 on “Virtualization Security for Servers” and CSA’s Cloud Controls Matrix, was published in May 2015, and subsequently provided as an input document to steer international standardization efforts at ISO. The result was the ISO/ IEC 21878 – “Security Guidelines for Design and Implementation of Virtualized Servers” published in November 2018. The International standard ISO/IEC 21878 – Security Guidelines for Design and Implementation of Virtualized Servers was published recently. This resulted from an international and Singapore effort as seeded by a whitepaper contributed by CSA and SPRING Singapore (see earlier story). The purpose of this document is to provide security guidelines for the design and implementation of virtual servers (VSs). Design considerations focusing on identifying and mitigating risks, and implementation recommendations with respect to typical VSs are covered in this document. Read more here. The inclusion of the Malaysian Personal Data Protection Standards into the CSA CCM aligns the regional standard to over thirty global frameworks mapped in the CSA framework. Additionally, the mapping, conducted by the Malaysian Digital Economy Corporation (MDEC) and several Malaysian government agencies, further expands the coverage of the CSA CCM into the APAC region. Four sections from Malaysian Personal Data Protection Act 2015 (MY PDPA) were mapped with CCM control domains. This was accomplished through matching each control in the CCM to control(s) in MY PDPA to determine equivalence. This approach considered which CCM control is associated with control(s) in MY PDPA, and to what degree they are equivalent to each other. The extent of equivalence between controls of the two frameworks approximates the amount of efforts necessary to incorporate MY PDPA, using CCM as a base. We seek feedback and suggestions to the WG Charter here (closing 17 Dec 2018). To find out more about the WG here and to join the WG here. This WG will be launched soon. It will develop a security framework for High Performance Computing (HPC) Clouds. If you are interested to join the WG, please email [email protected]. This WG in the planning stage and will be launched in 2019. Please register your interest in joining the WG by contacting [email protected]. The APRAC was formed with the mission to enhance overall capabilities in cloud security for CSA APAC members, through collaboratively addressing APAC-specific gaps, challenges and problem statements; and developing and maintaining a vibrant APAC-driven research portfolio. The kick-off meeting of the APRAC was held on 1 November 2018. To find out more about the APRAC, click here. CSA APAC is conducting a survey on FSI cloud adoption in the Philippines, where aggregated data and analysis will eventually be published in a CSA survey report. We are seeking respondents for the survey. If you work in an organization in the Philippines FSI sector and is interested to contribute, please contact us at [email protected]. All survey submissions are completely anonymous.